As you know, Pookah is allergic to wheat. And I am always on the hunt for new places that he can eat. Thanks to Tara over at The Young Mommy Life, I discovered an app called Find Me Gluten Free. I put in my address and Uncle Maddio’s popped up. I checked out their website and was happy to discover that they had GLUTEN FREE Pizza crust. Now, we’ve tried another local pizza place that has gluten-free crust. And it’s….nasty….imagine, your pizza crust with the consistency of cornbread….. But I digress! 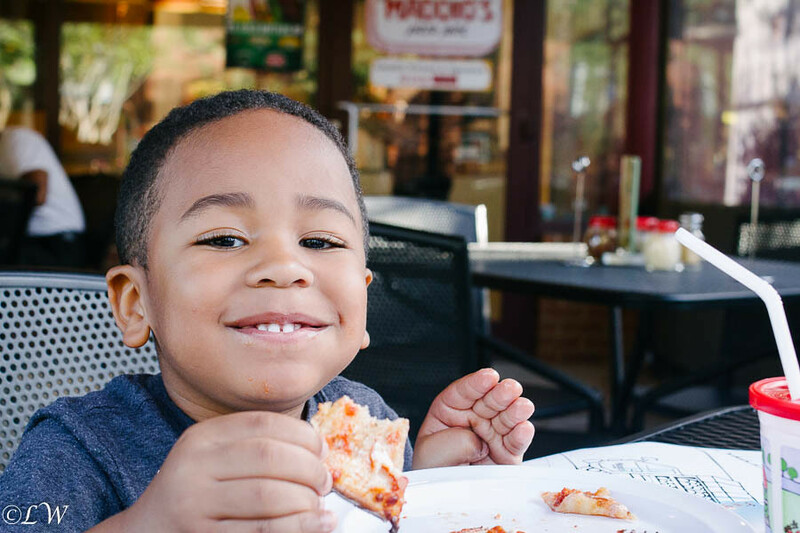 We traveled to Uncle Maddio’s 10 minutes from our house and walked in. I didn’t get a photo when we first got in, but it’s laid out sort of like Subway or Chipotle. You see the fresh ingredients, you see them making your pizza. On a GLUTEN FREE crust. Pookah requested sweet sausage and pepperoni, and I added mushrooms to my side. Pookah and I made our way to our table and waited for our food. 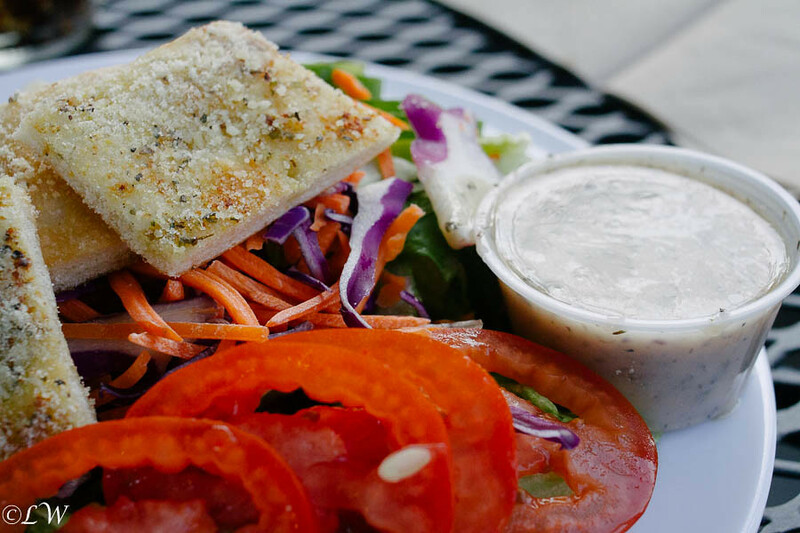 Pookah had his crayons…..
And while we were waiting, my fresh made salad came. Delicious. I really really enjoyed it and more importantly, Pookah did too! The crust was like a thin crust, nice and crunchy. It didn’t get soggy and held up pretty well under the toppings. Service was quick and our meal was UNDER $20. Will we go again??? OF COURSE! Pookah gives it two thumbs up! 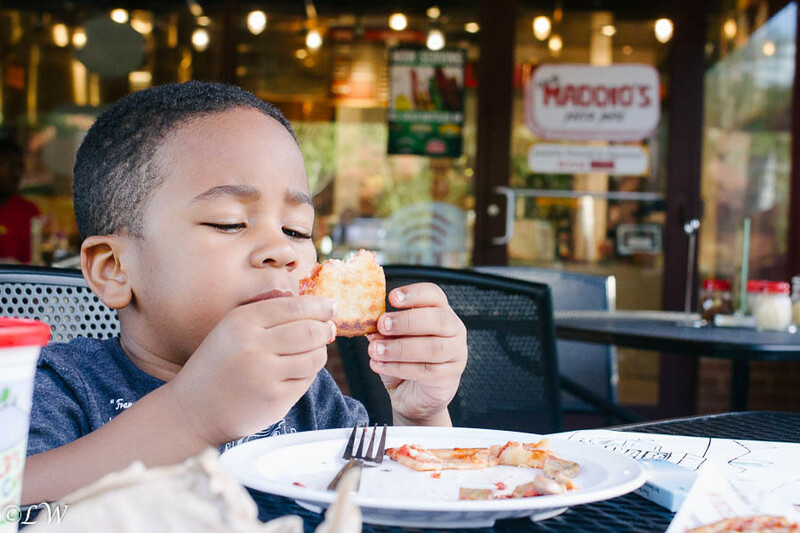 So if you live in the Atlanta Metro Area, check out Uncle Maddio’s! 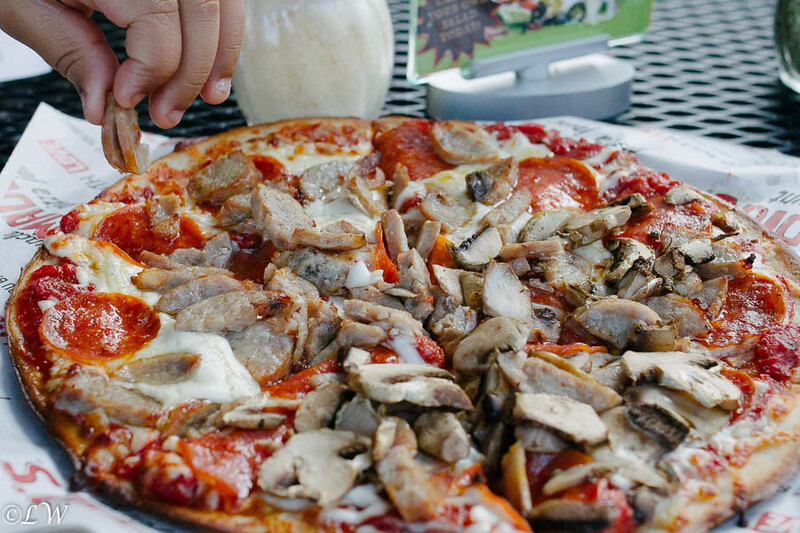 It’s going to be our go to place for Gluten Free Pizza! 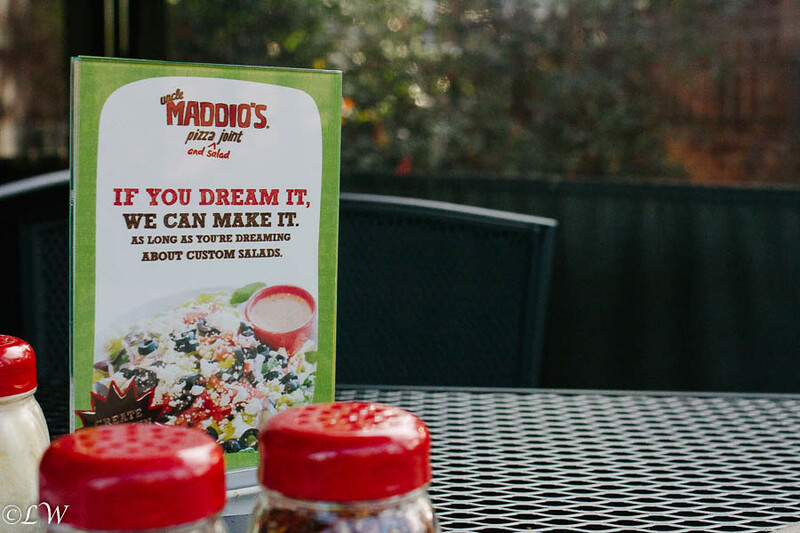 I am a huge fan of Uncle Maddio’s. Their pizza is go good. 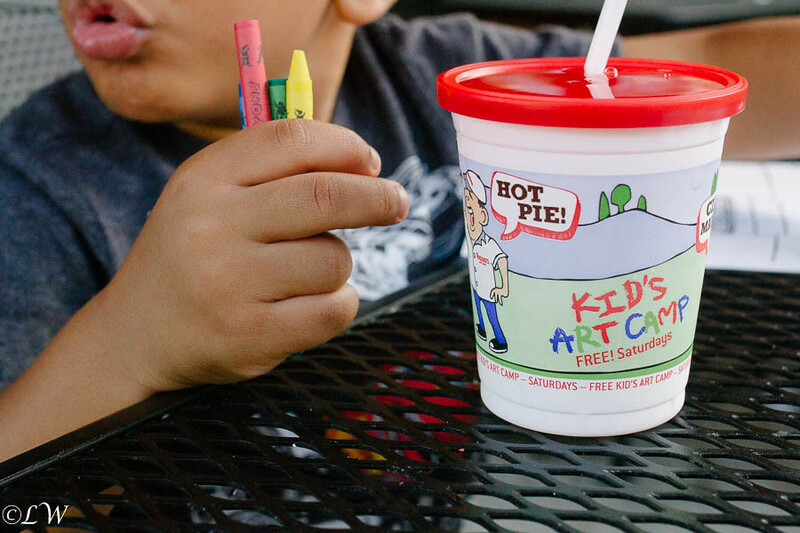 I’m glad you were able to find another great place for your little man to eat at and enjoy great food. LOL. it really is good and I love the fresh toppings! 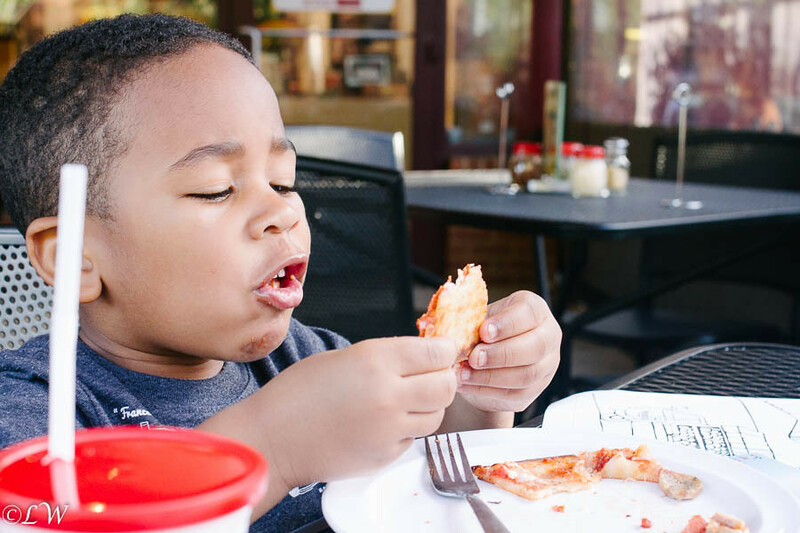 Loved these pictures of pookah enjoying his pizza! It looks delicious! it really was great! We had it again this past weekend! 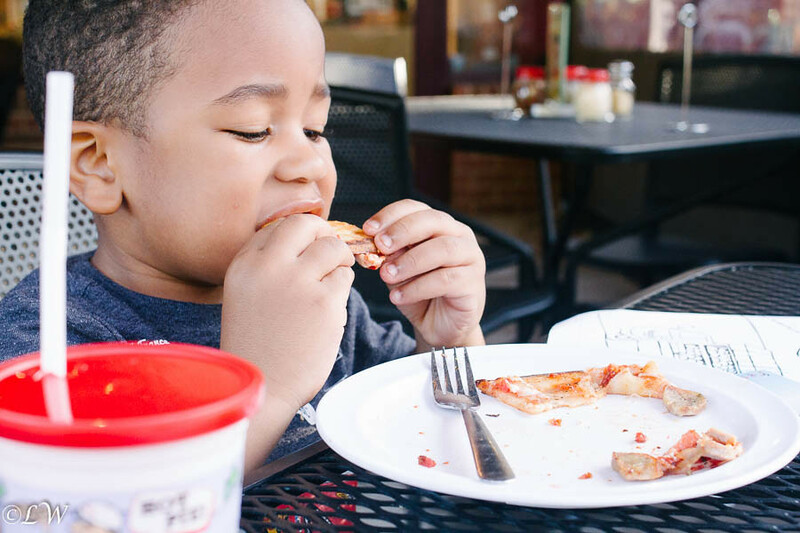 It seems that your Pookah is not allergic to wheat, but is gluten intolerant, assuming he did not have a reaction to the pizza. 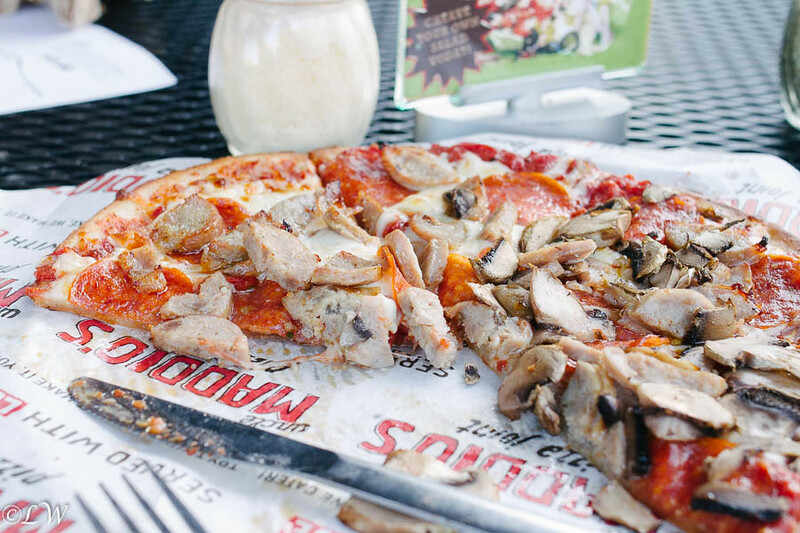 Uncle Maddio’s does have a gluten-free crust, but it is made with wheat. He is definitely allergic to wheat. He is tested every year for it. 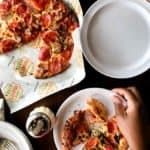 And if you look on Uncle Maddio’s website, it does say that the gluten free dough is made from “a combination of rice, tapioca and potato flours” none which have wheat in them. That is the point of gluten free. It has NO WHEAT. But thank you for stopping by and commenting! …as I was saying before my tablet had a glitch, I asked that they use the reserves of each item that they keep under the bar. These reserves have not yet been dipped into by glutened hands. Of course nothing is full proof. But this seems to work. The cheese is fine for him, he is allergic to wheat and the cheese has no wheat! Thank you for pointing that out!